Since fast food restaurants started accepting credit cards, there use has seen explosive growth. Consumers will have charged $37 billion in fast food this year, up from only $3.7 billion 4 years ago. 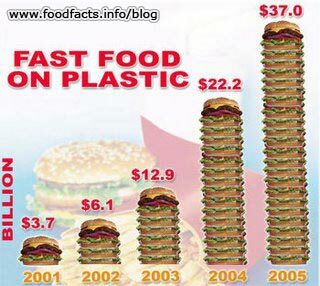 Americans spend $150 billion total on fast food annually.